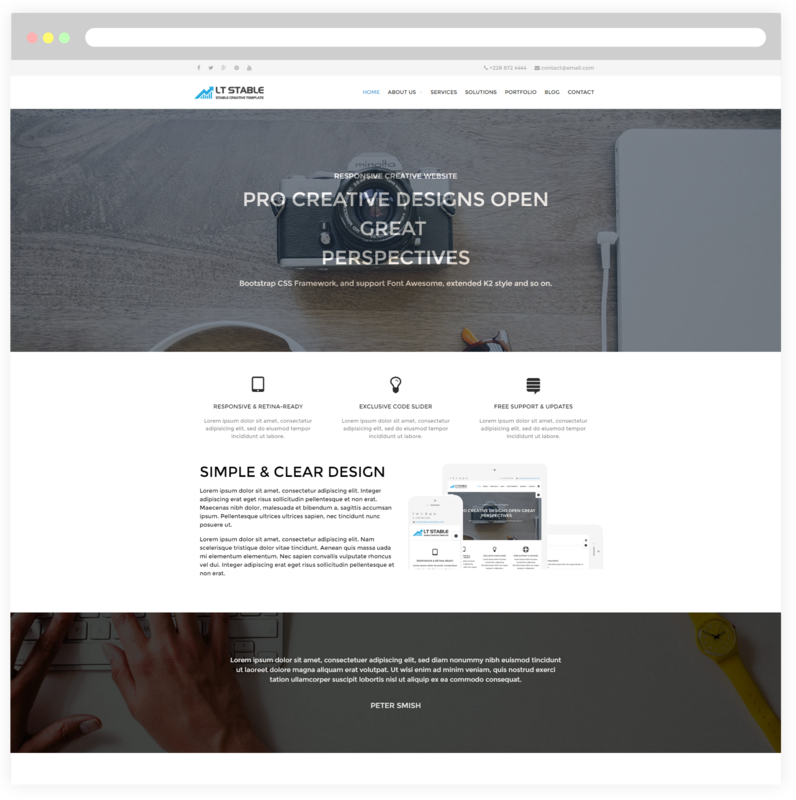 Developing modern and stylish site for creative design companies and make it attractive with Entrepreneur WordPress theme! 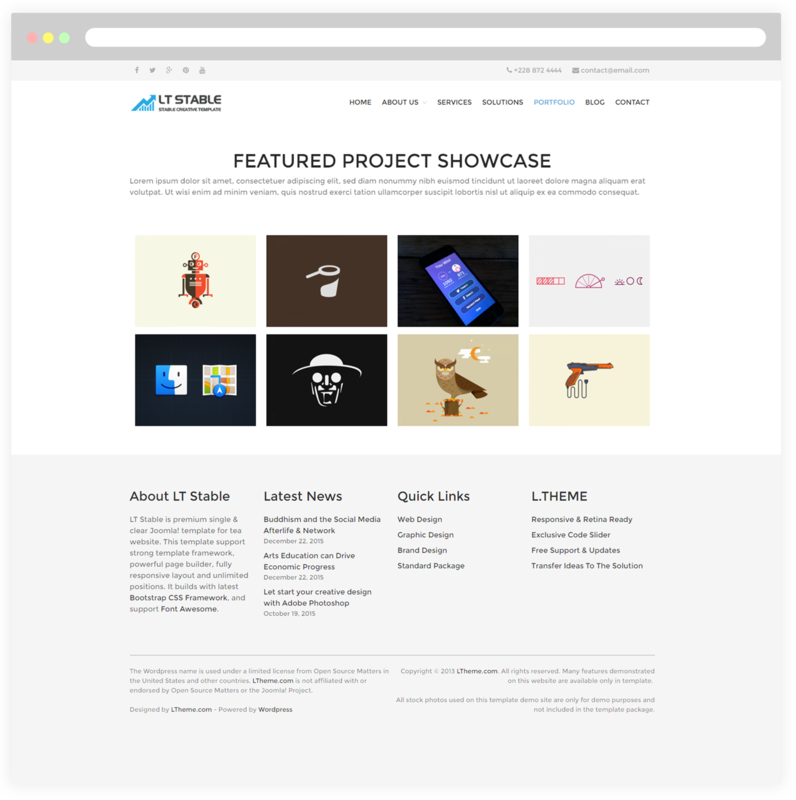 LT Stable is a premium single & clear WordPress theme that is especially designed for business or creative design company websites. The theme has been designed simply and elegantly, but it still suitable to promote small creative agency and personal portfolio site. 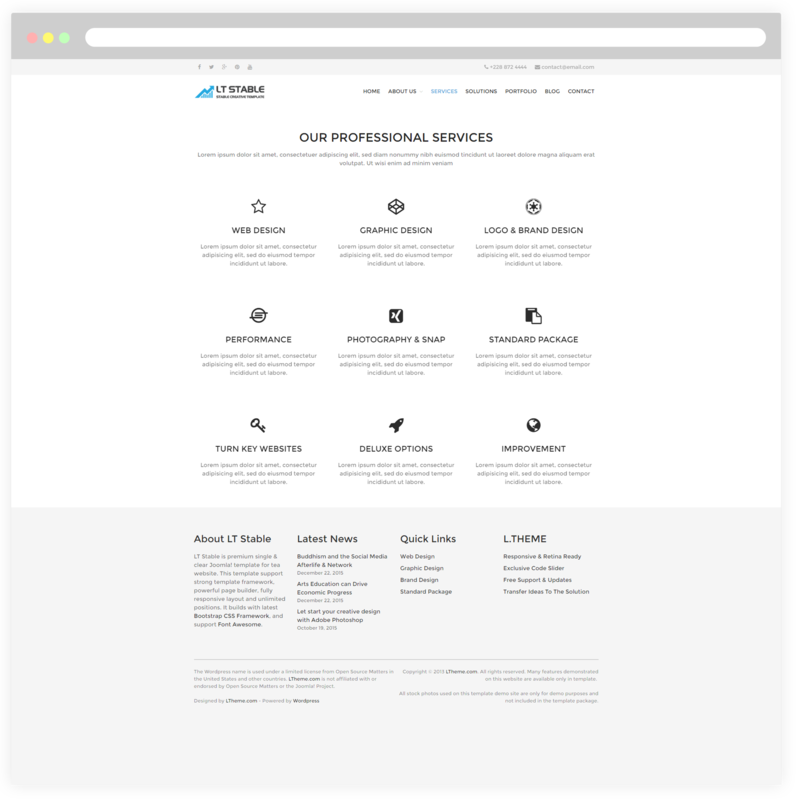 It is not a matter for LT Stable to give your site appearance a professional look for a better performance of your brand. 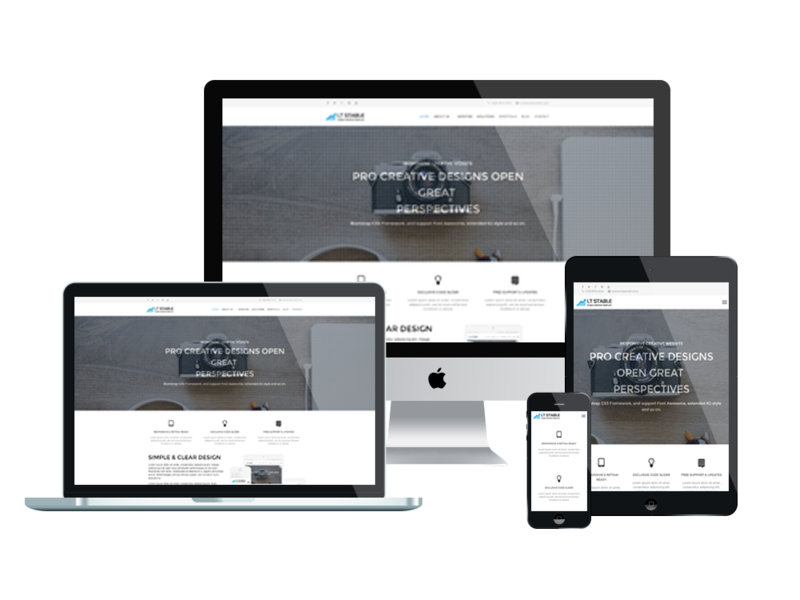 This theme is provided with 100% responsive layout that automatically fit to any possible screen resolution of all mobile devices, displaying all the content in the best way possible. 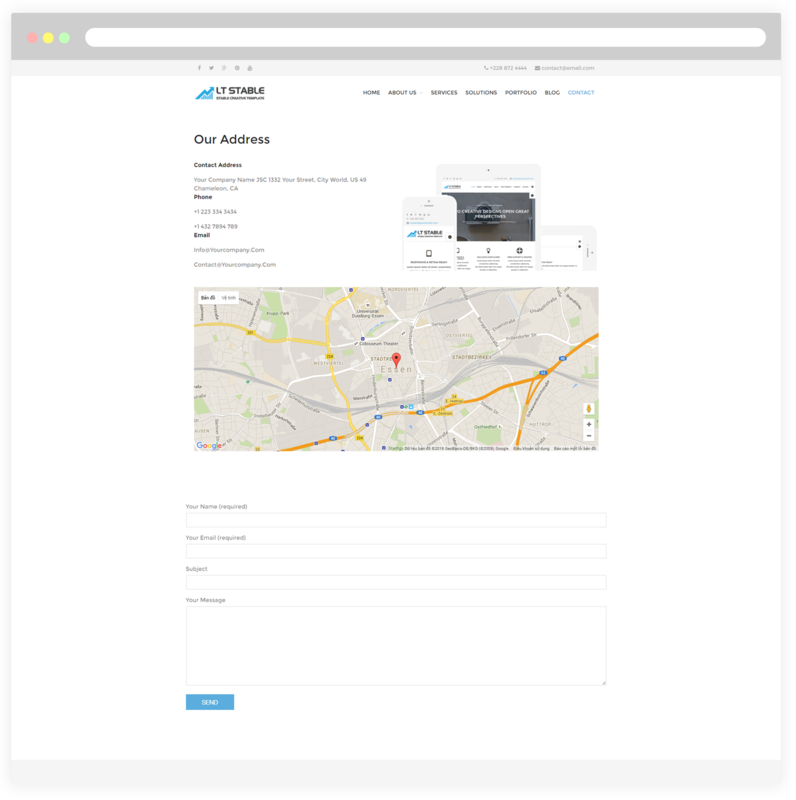 Furthermore, it also comes with unlimited color and a color picker in the admin panel for create an awesome look website with various layouts. 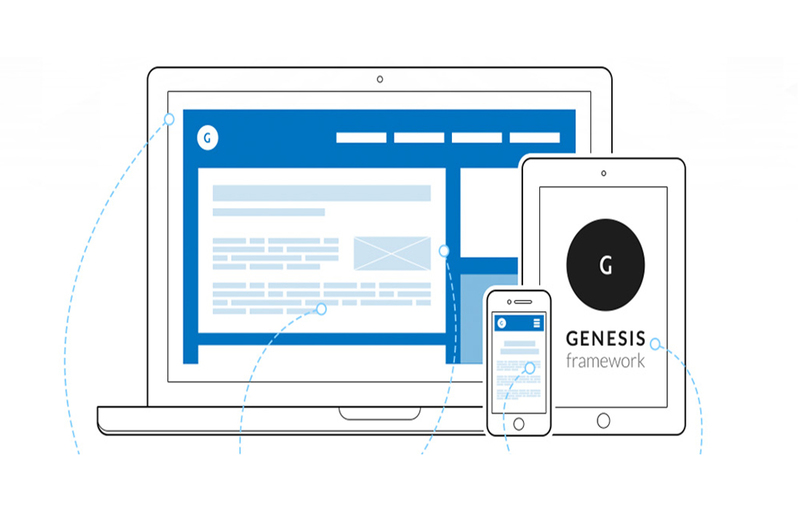 Support services like Bootstrap CSS & Genesis framework, strong shortcode and drag-drop layout content…are also supported as well and always ready to help clients develop their websites. Worth taking a look! 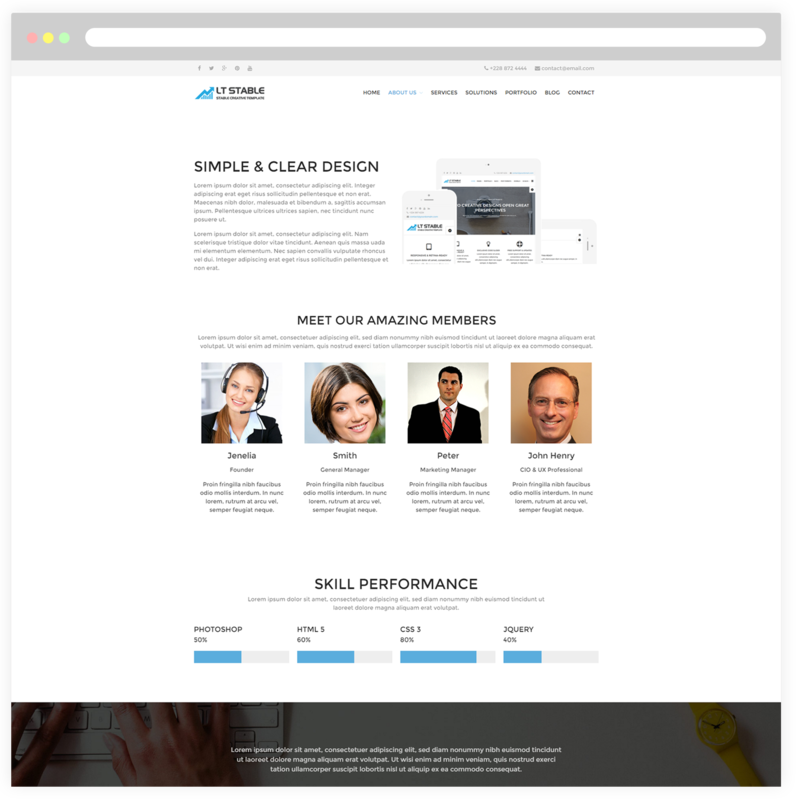 This page will help customers learn more detailed information regarding SIMPLE & CLEAR DESIGN, the company’s business organizations as well as its history. Besides, customers can also refer more feedback from partners toward the work process of your company. In addition, this is a great way to show off your team and give them the chance to shine. In order to create the most favorable environment for attracting investment in projects of your company, this page will introduce and help customers understand the details of the services including photography & snap, logo & brand design, graphic design, ect. 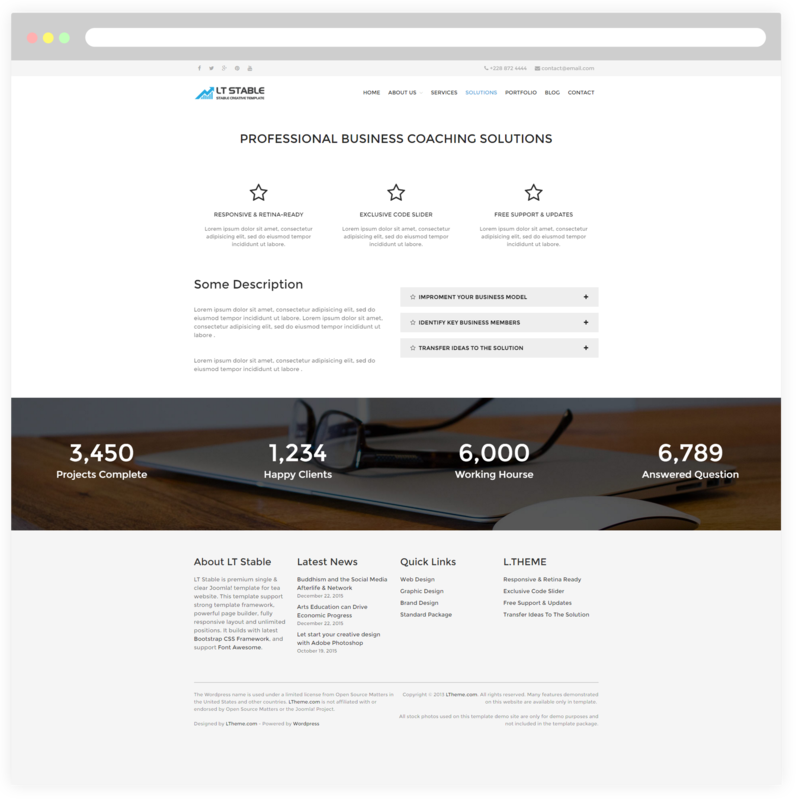 With unique design and fully responsive, this page allows your company to present creative business ideas. 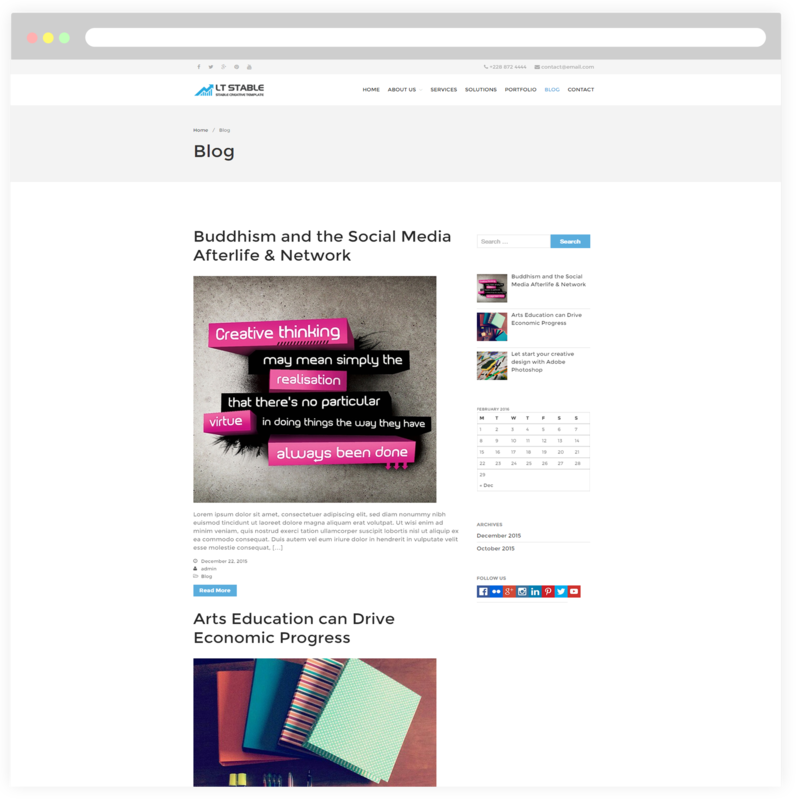 The news of new creative as well as design will be created and presented at this page. It will help you easily bring customers to your products through social networking sites.